The latest Firefox Aurora is now available for download and testing! The latest Firefox Aurora is now available, including early-stage features like New Tab, a redesigned default Home Page and Awesome Bar Auto-Complete. When opening a new tab, users are now presented with thumbnails of their most recent and most frequented pages. 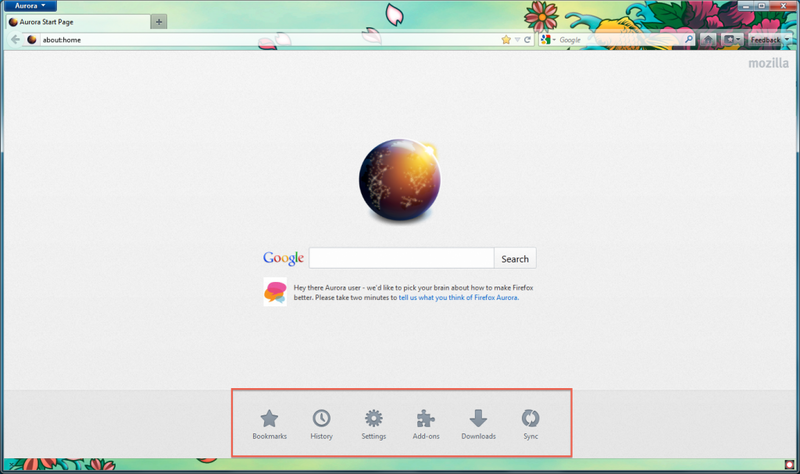 The redesigned Home Page provides a central start location where users can access their Bookmarks, History, Settings, Add-ons, Downloads and Sync Preferences. The new Home Page is an early stage feature; expect more to come in future releases! The Awesome Bar now completes URLs as you type them. 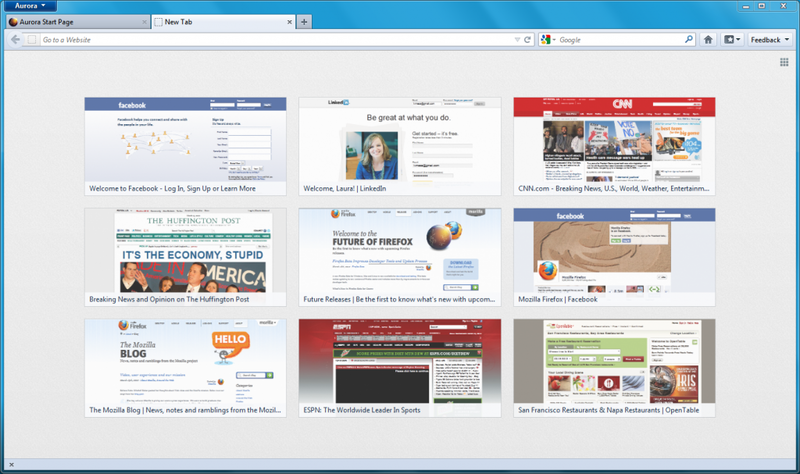 Download the latest Firefox Aurora and provide feedback. Feedback on these new features help us determine what makes it to beta and final releases.